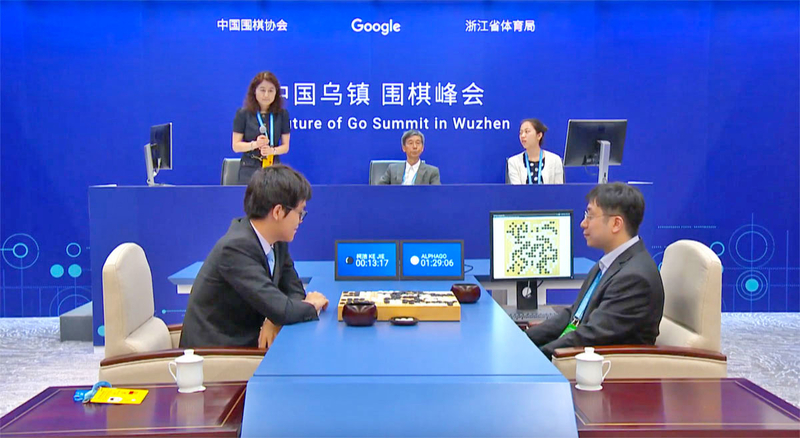 Information Processing: AI knows best: AlphaGo "like a God"
Humans are going to have to learn to "trust the AI" without understanding why it is right. I often make an analogous point to my kids -- "At your age, if you and Dad disagree, chances are that Dad is right" :-) Of course, I always try to explain the logic behind my thinking, but in the case of some complex machine optimizations (e.g., Go strategy), humans may not be able to understand even the detailed explanations. In some areas of complex systems -- neuroscience, genomics, molecular dynamics -- we also see machine prediction that is superior to other methods, but difficult even for scientists to understand. When hundreds or thousands of genes combine to control many dozens of molecular pathways, what kind of explanation can one offer for why a particular setting of the controls (DNA pattern) works better than another? ... After he finishes this week’s match, he said, he would focus more on playing against human opponents, noting that the gap between humans and computers was becoming too great. He would treat the software more as a teacher, he said, to get inspiration and new ideas about moves.